A Beautifully Presented and Tastefully Decorated Two/Three Bedroom Cottage. 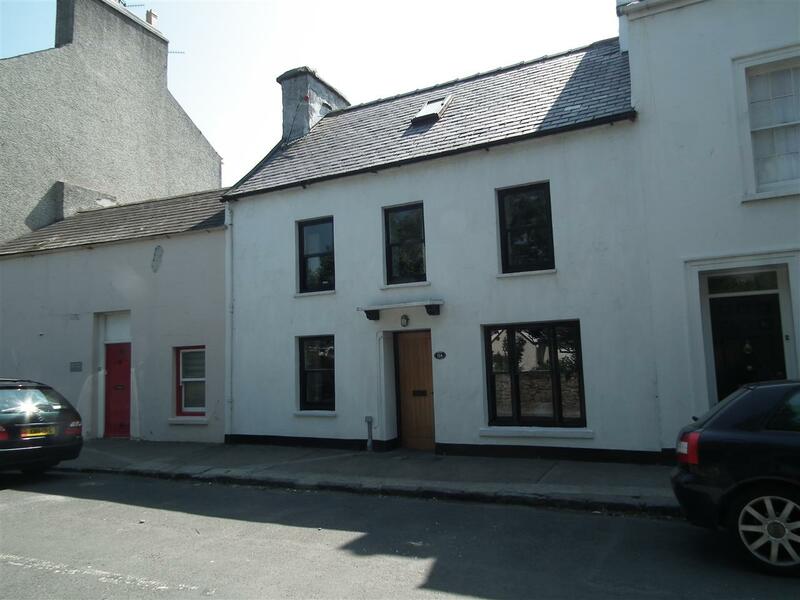 Situated Within the Ancient and Popular Capital of Castletown. Walking Distance of Many Heritage Sites, Schools, Beach and Shops. Retaining Many Original Features with Superb Attention to Detail. Lounge with Manx Stone Fireplace and Multi Fuel Burner. Separate Dining Room. Modern Fitted Kitchen with Granite Worksurfaces. 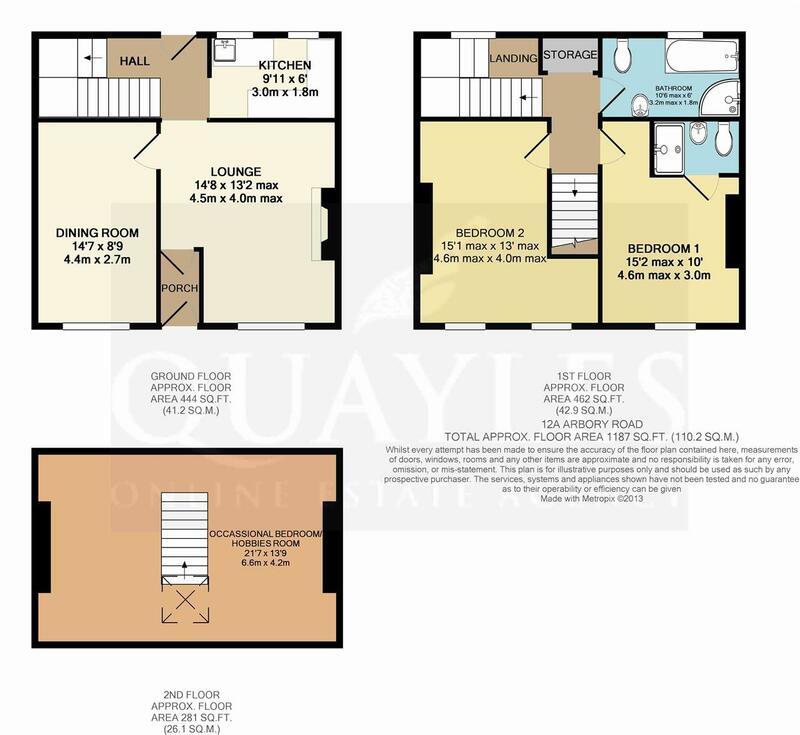 Stylish Bathroom & 2 Double Bedrooms, One with an En Suite Shower Room. Large Occasional Bedroom or Hobbies Room to the Second Floor. An Ideal Lock Up and Leave Property Close to Ronaldsway Airport. Heading into Castletown from a Northerly direction. Pass the airport on the left hand side. At the roundabout bear to the right and continue to the next roundabout, again, bear right and continue to the traffic lights. Proceed straight over and take the second turning on the left hand side onto Arbory Road. As the road bears sharply to the right continue straight ahead where number 12A will be found just a short distance from the junction on the right hand side. With fabulous attention to detail throughout this superbly presented cottage with a delightful patio garden. Features include a Manx flagstone, exposed Manx Stone fireplace, beams, oak doors and brass light and power switches. Situated within walking distance of Castletown Square, shops, beach and schools including the renowned Buchan School and King Williams College. The solid oak door opens into the porch with flagstone floor, one of which has been beautifully etched with the Three Legs of Man symbol. A wall mounted cupboard houses the electric meter and consumer unit. A half glazed oak door opens into the lounge. Full of character and charm with the flagstone floor continuing through from the porch. An exposed Manx stone fireplace with an inset multi fuel burner. The original timber framed sliding sash window is to the front elevation. Wired for both wall and ceiling lights with a large original beam running the width of the room. The gas meter is located to one corner. Television, satellite and telephone points. An oak door leads to the dining room. Clear opening to the kitchen. The slate flooring continues through from the lounge. Twin, old style radiators. Exposed Manx Stone feature fireplace. Wired for wall lights. The original timber framed sliding sash window is to the front elevation. Telephone point. The original exposed wooden beam runs the width of the room. Fitted with a range of matching cream, shaker style base, wall and drawer units. Background tiling complements the granite worksurfaces with an inset ceramic, Belfast sink with mixer tap. Integrated dishwasher, microwave and fridge. Space for a range style cooker. Dual double glazed timber framed window to the rear elevation. Tongue and groove ceiling with recessed downlights. Recessed plate rack. Stairs with storage beneath lead to the first floor. A half glazed stable door opens to the patio garden. Wall mounted vertical radiator. Oak flooring runs throughout the landing. A large recess with curtain and rail which houses the gas fired boiler and also provides space and plumbing for a washing machine. A beautifully presented, predominantly tiled room fitted with a modern white suite comprising a push button flush WC, large bath with mixer tap and shower attachment, a vanity sink mounted onto a storage unit and a corner, glazed enclosure with a fully plumbed shower installed. A single glazed timber framed window to the rear elevation. Recessed downlights. Chrome ladder style towel warmer. The oak flooring continues through from the landing into this L-shaped double room with original, dual sliding sash windows to the front elevation. Wired for wall lights. Old style radiator. A double room with the original timber framed sliding sash window to the front elevation. Old style radiator. Wired for wall lights. Oak floor covering. Door to the ensuite. Fitted with a modern white, duo flush WC and a wall mounted hand basin. To one end is a fully tiled and glazed enclosure with a modern 'Aqualisa' shower installed. Ceramic floor tiles. Chrome ladder style towel warmer. 'Manrose' extractor fan. Recessed down lights. Oak stairs lead from the first floor into the loft room, creating an ideal occasional bedroom or hobbies room. Exposed original 'A' frame beams. Oak floor covering. A 'velux' roof window is to the front elevation. A delightful, enclosed rear patio garden which faces south east therefore enjoying the sunshine throughout most of the day. To one corner is a brick built log store. Electric point. Exterior light. Gas fired central heating. Mains water, electric and drainage. Mixture of both single and double glazed timber framed windows.